So Cold the River is a mystery/thriller set in French Lick and West Baden, Indiana. There are tornadoes and stinky sulphurous Pluto mineral water and vaguely supernatural goings-on. The main character is a failed cinematographer who gets hired to go investigate some family history in the two towns in Southern Indiana and ends up with much more than he bargained for. 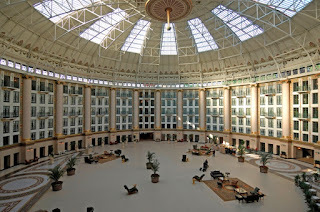 Michael Koryta, the author, was obviously quite taken with the restored resorts at French Lick and West Baden and he does a great job making you want to visit these two locales, which are both in French Lick, Indiana. These two resorts have quite an interesting history, and in their heyday attracted folks like Joe Louis, Al Capone and Franklin Delano Roosevelt. Let me say that I very much wanted to like this book. 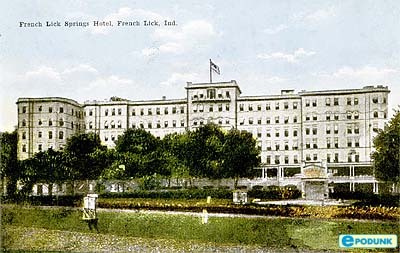 I visited the French Lick resort when I was young and it was still in a state of disrepair. This is to say that the wall paper was peeling in many of the hallways and the whole hotel smelled very much of sulphur. I don’t know what there is to be done about the sulphur smell, as it’s part of what attracts folks to the springs, but both resorts have been restored in the past 10 years or so, and a casino added to draw folks to them, and I hear they’re beautiful. This book certainly made me want to check out West Baden, which I have not been to (I believe it was closed when I visited French Lick). I am not a native Hoosier, though in about 5 years time I will have lived in Indiana longer than I’ve lived in any other place in my life (having lived in Kentucky for 18 years). When I lived in Bloomington, I felt that I should try to feel attached to the place I was living, especially as I ended up living there for 6 years. But I’ll confess I felt like Indiana at times was a culture-less void, and I like that this book tries to give Indiana some backdrop, some story, some character. Indiana doesn’t appear to have a literature, and it would be nice to give it one. 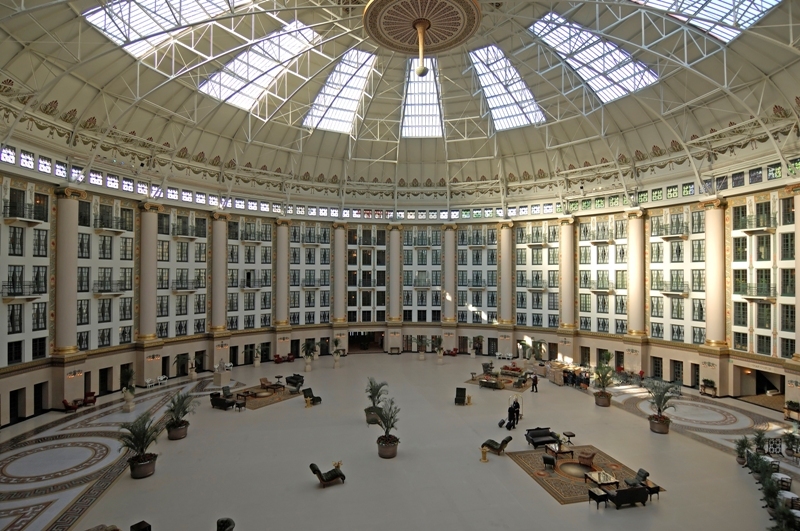 These two resorts in the middle of southern Indiana are weird things; West Baden has a huge dome that rivals the Crystal Palace in London, but has actually been beautifully restored, so you can still see it today. But I confess, when someone on the back cover describes this book as midwest Gothic, I don’t quite buy it. Perhaps it’s because I lived in Mississippi, but it’s hard to imagine Indiana as gothic. Beyond that, I felt the book strung the reader along a little bit too long. There’s a point in a suspenseful thriller where you have to reveal a little bit to keep the reader interested, and I felt like Koryta waited a bit too long to do that. I’ll admit, I wanted a lot from this book, namely a novel that established Indiana as an interesting, intriguing and mysterious place. It didn’t quite do that for me, and I can’t tell if that’s because Indiana is too familiar to me already. I’m glad I read it because now I’ll probably take a trip up to French Lick, but I wanted much more from the book than what I got. Robyn, I love to read your thoughtful, engaging posts. I had the same reaction to So Cold the River. Two Hoosiers I read alot before I ever even thoguht about moving to Indiana are Gene Stratton-Porter and Booth Tarkington. A Indiana transplant from Tennesee is Scott Russell Sanders, who has lived near Bloomington for years and writes beautiful essays about place, this place. I've only driven through Indiana and it didn't seem like an “interesting, intriguing and mysterious place” so I think you might have been asking too much of the book or any book, for that matter. 😉 The only thing recently I've found “interesting” about Indiana is the TV show Parks and Recreation. On a serious note, I was just curious why you used italics in this post. It made it a little difficult to read. However, I do like your relaxed writing style, in just giving us your thoughts plain and simple about the books. Indiana, gothic? And the subject of novels? Hmmm, that's a tall order. I spent 4 years of my life there (at the “other” big university which I suspect may be a major rival of your own, if that was why you were in Bloomington …) and mostly remember cows, corn, and a flat landscape with winter wind whipping through you. That said, it was a great 4 years! Kate, thanks so much. Always good to have an appreciative audience. I've often wondered about Indiana writers to read, so I'll check those two out. Thanks for the recommendation. I remember hearing about Scott Russell Sanders, maybe when I was in Bloomington or after. I find I really connect with places through what I read, and I wish there were more place-bound Indiana writing. One thing I did read which was nonfiction was Rachel Peden, who was a farmer's wife and columnist for the Indy Herald. Her book Rural Free is lovely. unfinishedperson, I have hope that Indiana can be more exciting than just a place to drive through! Yes, the italics are annoying, but something strange was happening with blogger last night when I was trying to post, and I couldn't get the post out of italics. It won't happen again! Laura, yes, I just can't quite see gothic Indiana, or gothic midwest, period, though southern Indiana where I live is, well, southern sometimes. I'm from Kentucky and there were folks around Bloomington who sounded much more country than I did. I love Bloomington, but my loyalties regarding college sports are firmly with my home state of Kentucky.